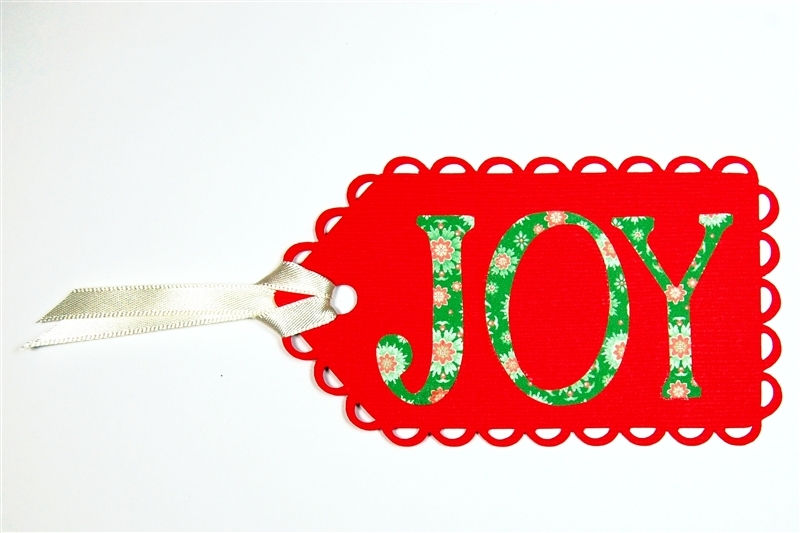 I finally got to sneak down to my craftroom to test cut a tag inspired by the one that came with the church bake sale cookies. This has been designed in my computer for a few days but with so many holiday activities, plus two "minor" home improvement projects, it has been difficult to find time to do everything! The original tag is on the left. It did not have any identifying information on it but appeared to be a commercially printed and assembled tag. I really like the idea of the lace scallops around the tag and set about finding a way to design something similar. I haven't tried to duplicate the reindeer but it could be done easily with a few basic shapes. I did two variations of the tag. For the tag on the left I added an additional circle cut at the top. 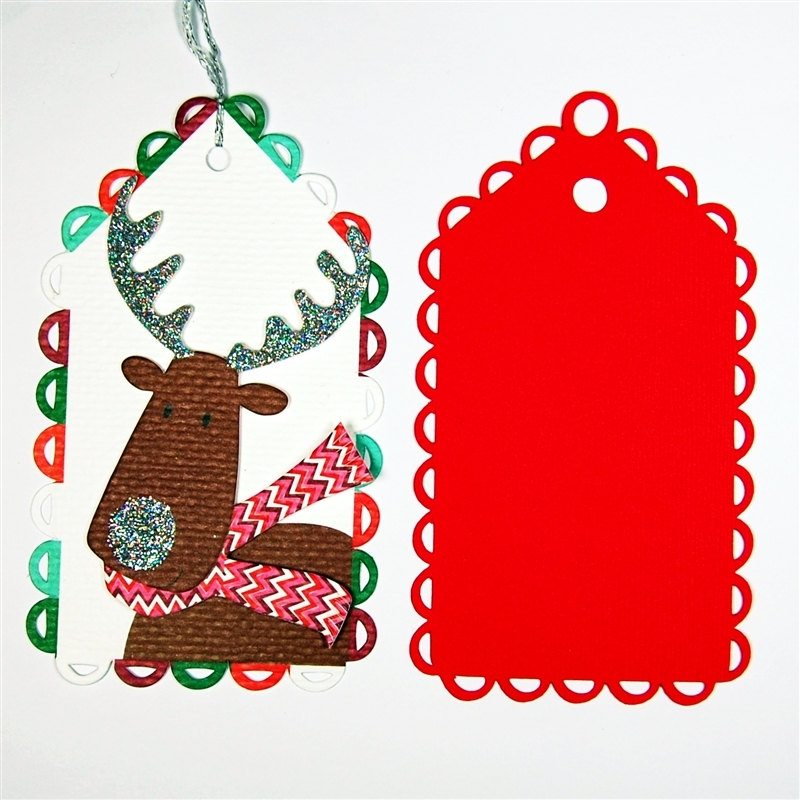 For the tag on the right I simply aligned the circles to overlap at the top of the tag. I used the tag shape and silhouetted circle on Plantin Schoolbook to make the open scallops. I added the word "Joy" on this tag. This was printed and cut with the Imagine. The font was A Child's Year and the paper is from the Snow Angel cartridge. I added some pen stitching around the edges of the tag to give it a more finished look. There are so many ways to decorate and use pretty tags like these! 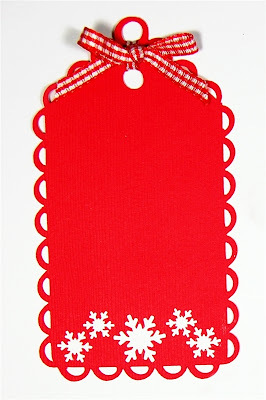 I turned this tag to be vertical and added some leftover snowflakes from a border punch as decoration. With the gingham ribbon I was all set for a red and white Christmas. 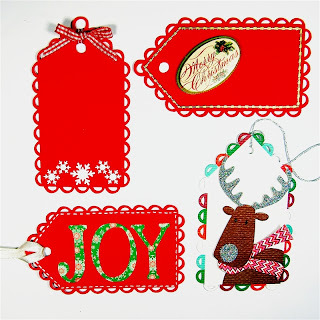 I might add some pen stitching to this tag as well. For the third tag, I added gold "peel-off" strips around the edges and chose a K & Company layered image for the greeting. It really isn't hard to think of ways to decorate the basic tag shape and get many different results which will be fun to share on the gifts you give. I will explain how I made the file and share it tomorrow (or soon if tomorrow gets too crazy). I need to get some more presents wrapped before our older son arrives Tuesday night since they are on top of the bed he will be sleeping in! We had some snow here but I am keeping my fingers crossed that there will be no delays with the flights. Diane, I would LOVE to get this tag today. I need to make a ton for my daughter's teachers. Congrats on being a Peachy Keen Designer. You will be great at it. Thanks for sharing the wonderful tag too! These are so cute! Thanks for the ideas. I really like these. The Martha Stewart Cake carts. will really be good for adding some different edges. Thanks for sharing all your great ideas & beautiful creations with us. Merry Christmas! I love this tag. Those scalloped borders are so nice and you see them everywhere. Can't wait to get the cut file to play with it. Also, congrats on the Peachy Keen DT. Merry Christmas. Diane, I would love the cut file for these as well! Will you be providing it? Merry Christmas! Tags are awesome! TFS But most of all congrats on being a guest designer on PK! Have a very Merry Christmas! Hi Diane! Great tag! Just love it! 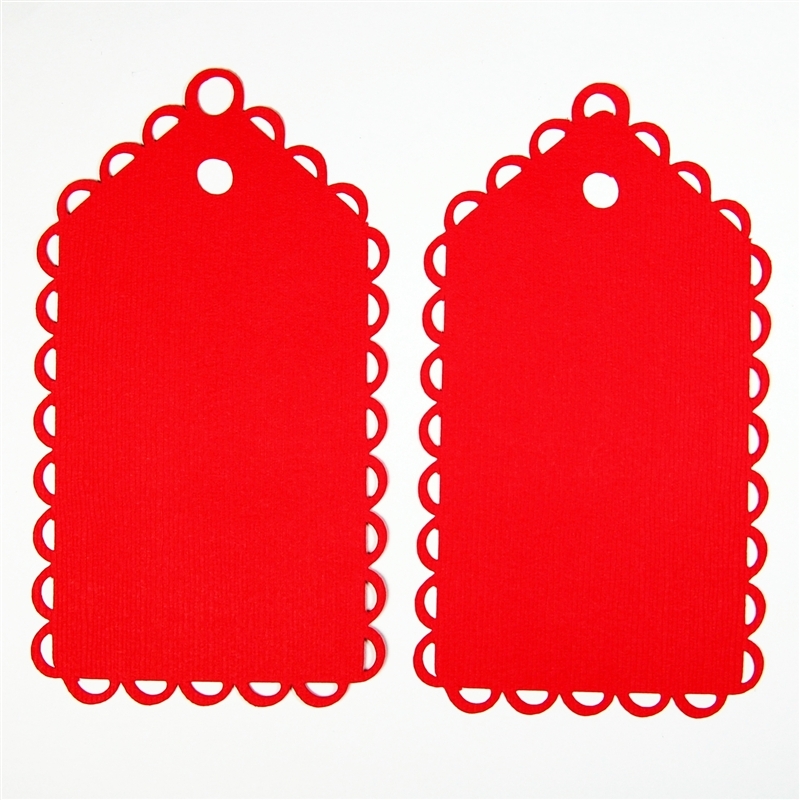 Would you by chance have a file for a circle and an oval with this lacy edge. Thanks for all you do and thanks for sharing with us. These are awsome, thanks for sharing. These tags turned out beautiful. Congrats on the Peachy Keen guest design slot too. 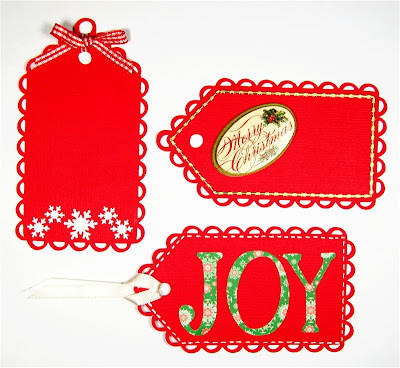 I cannot tell you how much I love these tags!! Scalloped tag! Who would have thought!! Absolutely brilliant! those are brillant and i can hardly wait to get the files and cut them out. so cute. thanks for sharing your the best. Diane, these are GORGEOUS!!! 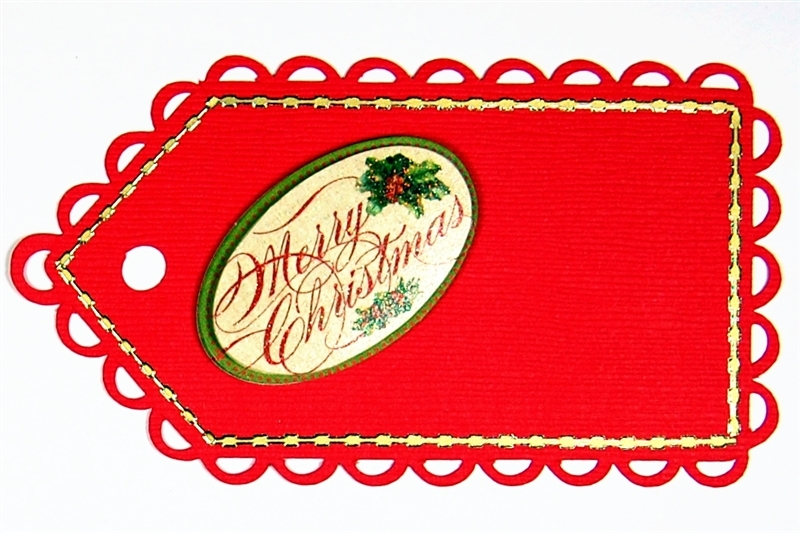 I need a scalloped tag like this. I will have to try it. TFS! Love Your Tags! I really appreciate you sharing this cute file. such valuable talent!!! this tag could be used for all occasions.. I knew it wouldn't take you long to design this tag. It is something that most everyone can use. Thanks!! You really inspire me to really use my Gypsy. All those tags are gorgeous and makes me want to rip off the tags I put on the wrapped packages and redo them.....well maybe next year.